Mulgrave's Andy Wood trudges off at Wykeham. Picture by Steve Lilly. Scarborough Beckett League title-chasers Staithes and Staxton both collected comfortable wins to continue their bids to seal top-flight success. 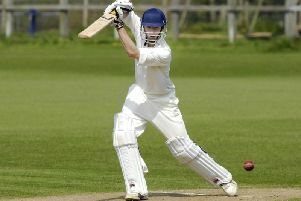 Staithes cruised to a nine-wicket win at Forge Valley. Valley were blown away for 63 all out, Chris Morrison continuing his fine form with the ball by taking 4-22 alongside spells of 3-6 from Simon Bowes and 2-13 from Tom Steyert. Richard Ward (27no) and Richard Hegarty (22no) then ensured Staithes secured the full 20-point margin as they cruised to 64-1. Leaders Staxton hammered Scalby at Carr Lane. Staxton posted 195-6, Jodie Robson hitting 114 and Dave Morris 29 as spinner Paul Hesp took 4-52. Staxton's bowlers shared the wickets out in reply as only Rory Skelton (28) got going with the bat. Dan Outhart took 3-17 and Ryan Hargreaves, Andy Holtby and Adam Hargreaves took two wickets apiece. Filey hammered Ebberston in a comfortable nine-wicket success. Mark Shackley (4-19) and Phil Dickens (3-9) shone as Ebberston were all out for just 65 before a quickfire 50 not out from Josh Dawson helped Filey to 66-1. Another side who struggled with the bat were Cloughton as they were beaten by four wickets at home to Cayton. Callum Ferrie hit 20 but Cloughton fell to 97-7 before Harry Holden (32) and Balagie Madushanka (31) helped Cayton to 99-6, Jack Hakings taking 3-26. The Morris brothers starred as Seamer won a low-scoring contest at home to struggling Settrington. Seamer posted 138 all out, Greg Chadwick top-scoring with 46 with support from Craig Baker's 26 as Eddie Rounthwaite took 4-26 and Simon Cass claimed 3-22. 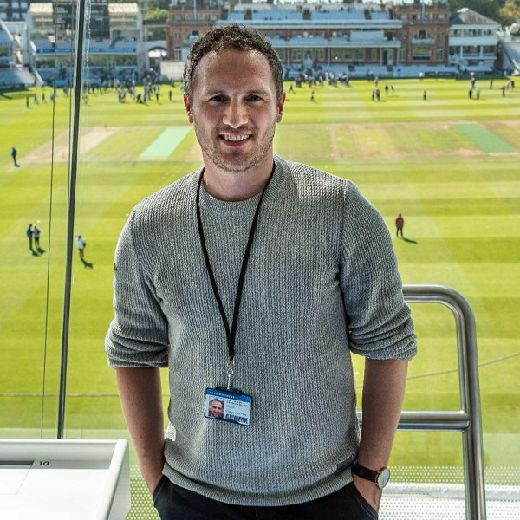 Settrington had no answer to the bowling of Adam Morris (5-32) and Matty Morris (4-16) as they were all out for 84, despite 50 of those runs coming from Jamie Rounthwaite. Nawton Grange claimed a vital win in their bid to avoid relegation as they beat Heslerton by three wickets. Paul Bowes led the Heslerton charge as he hit 63 in their 193-7, Richard Bentley adding 29 and Simon Oxendale 28 not out as Joe Sails took 2-34 and Michael Wearmouth 2-41. Charlie Allott's superb 82 not out then fired Grange to 194-7, Jonny Pickard also hitting 82 as Scott Brennan took 2-58. Jeff Morrison (5-9) and Colin Lockwood (5-17) had far too much with the ball as Thornton Dale hammered Wold Newton by six wickets in Division One. Wold Newton were all out for just 27 and although Matthew Southwell took 2-3 in reply, Dale made it to 28-4. Leaders Mulgrave cruised to a comfortable 90-run win at Wykeham. Joe Hinchcliffe top-scored for Mulgrave with 42 and he was supported by Andrew Wood (39), Chris Clarkson (31) and Mark Jackson (25) in their total of 182 all out, Adam Eustace taking 4-49 and Dave Pearson 3-23. Steve Clegg smashed 40 after tea, but Chris Knight (5-12) and Carl Woodward (3-27) had too much for his teammates and Wykeham were all out for 92. Another side who struggled with the bat were Flixton 2nds, who were all out for just 71 at Brompton. Mark Bruce took 4-19 and Pete Webster 3-17 to dismiss Flixton cheaply before Karl Theobald's unbeaten 33 saw Brompton safely to 75-2. Staxton 2nds beat Great Habton by 23 runs. Staxton were all out for 119, Brett Crowe hitting 47 and Kyle Outhart 41 as Will Curtis took 4-33. Outhart then took 5-30 as Habton were all out for 96 in reply despite Nick Ibbotson's knock of 32. Bridlington 2nds grabbed a shock win at Sherburn. Craig Sanderon made 44 and Daley Wharton 41 in Sherburn's 155 all out before Oliver Beckett made an unbeaten 70 and Steve Lount added 31 as Brid made it to 157-5.